Cheap Flag Picks - 144 Ct. Flag Picks - 144 Ct.
Decorate your 4th of July picnic with ease! This US flag pick is great for decorating your patriotic themed or 4th of July food spread. 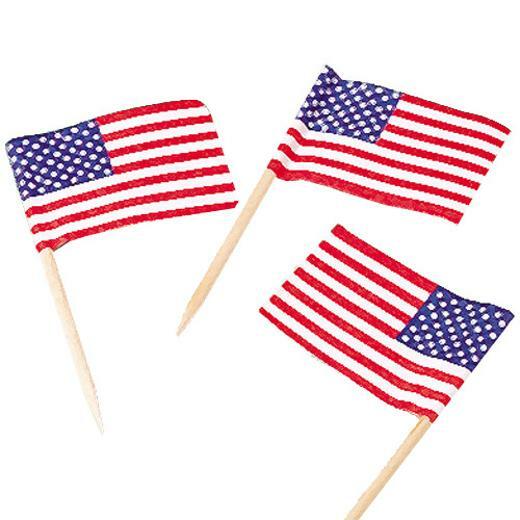 US flag food picks are a great addition to your patriotic party supplies and decorations. 144 picks per unit. L: 7.05 in. W: 0.85 in. H: 7.85 in.